Rocco DiSpirito is a Healthy Lifestyle Crusader, James Beard award winning chef, and author of 12 highly acclaimed cookbooks, including his latest New York Times bestseller The Negative Calorie Diet: Lose Up To 10 Pounds in 10 Days with 10 All You Can Eat Foods. Among his successful cookbooks, he is also the author of #1 New York Times bestsellers including The Pound A Day Diet, Now Eat This! and Now Eat This! Diet. 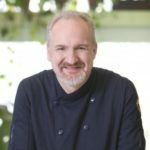 He is recognized for his inspiring weight loss journey and has dedicated his life to proving that healthy and delicious are not mutually exclusive. DiSpirito launched The Pound A Diet meal delivery service where he personally cooks for and coaches clients to better health. All meals are freshly prepared in DiSpirito’s New York City kitchen and feature local, organic, gluten-free, sugar-free and dairy-free ingredients, one of a kind menu customization to meet weight loss goals and delivery nationwide. In 2016, the innovative chef debuted Rocco’s Protein Powder, an organic, protein-packed, low carb, gluten-free, sugar-free, dairy-free, fat-free, non-GMO powder. 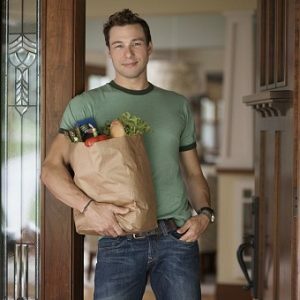 Making healthy, low calorie and delicious options more accessible, he also offers better-for-you snacks such as high protein chocolate-strawberry quick fill bars, shakes and organic turkey jerky available on his website www.roccodispirito.com. Throughout his career, DiSpirito has starred in many popular TV shows. 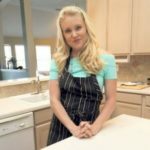 He helped guide life-changing transformations as the Healthy Food Coach on ABC’s hit series Extreme Weight Loss and its companion series Extreme Weight Loss: Love Can’t Weight. The celebrity chef and television personality starred in Restaurant Divided on Food Network in the fall of 2013, Now Eat This! with Rocco DiSpirito, a weekly, nationally-syndicated series in 2012 and Rocco’s Dinner Party which aired on Bravo in the summer of 2011, among other shows. In 2012, DiSpirito founded Savory Place Media, his production house. Its first project Now Eat This! Italy for AOL Originals became an instant Top 10 series on AOL garnering millions of views. DiSpirito was also the founder of the Now Eat This! truck, which featured meals created from his wildly successful series of cookbooks of the same name. In the aftermath of Hurricane Sandy, he aided storm victims and volunteers by providing more than 350,000 hot meals from the food truck. He serves on the Entertainment Council for Feeding America where he can frequently be found volunteering and serving guests at food banks throughout New York City. He is an Ambassador for HealthCorps, founded by Dr. Mehmet Oz, through which he visits schools around the country to empower students to make healthy food and lifestyle choices. DiSpirito also serves as an advisory board member to Hampton Creek, an innovative food tech startup dedicated to reducing the depletion of natural resources. Additionally, he works closely with Wellness In The Schools (WITS) as well as the John V. Lindsay Wildcat Academy. 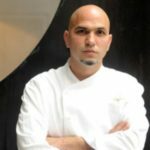 DiSpirito studied at the Culinary Institute of America and Boston University. By the time he turned 20 years old, he was working in the kitchens of legendary chefs around the globe. 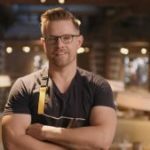 He was named Food & Wine magazine’s “Best New Chef,” People magazine’s “Sexiest Chef” and was the first chef to appear on Gourmet Magazine’s cover as “America’s Most Exciting Young Chef.” His 3-Star restaurant Union Pacific was a New York City culinary landmark for many years.